CKI will provide complete training for your Bar/Bat Mitzvah boy or girl. Rabbi Weisblum will work with your child to ensure they are completely prepared for their Bar/Bat Mitzvah. This includes Torah and Tanach learning, as well as training in reading from the Torah and chanting the Haftorah. 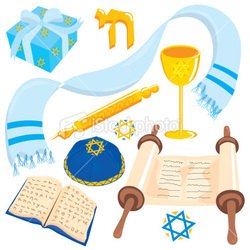 For planning a Bar Mitzvah, you can read more details in this Bar Mitzvah Guide. In addition, CKI can host your Bar/Bat Mitzvah, including the rituals during service as well as hosting a celebratory Kiddush after services and the Bar/Bat Mitzvah party in our large auditorium (up to 300 people seated). This includes full kosher catering in our full service kosher kitchen. Please contact CKI at 410-264-3924 or email CongKnesethIsrael@gmail.com to start planning your child's Bar or Bat Mitzvah.